A whopping 50,000 pounds a year! That's the average American's total carbon footprint which includes the emissions from your home, car, air travel and everything you use. Be a leader in the fight against climate change: calculate your carbon footprint (or select a preset) and offset it today! What You Get: e-certificate, bumper sticker, window decal, pen. The average American is responsible for a whopping 50,000 lbs. of CO2 annually to light our homes, drive, fly and everything else we do. Take action now to calculate, reduce & offset your carbon footprint. Be a leader in the fight against climate change today! Carbonfund.org CarbonFree® Partner program is an innovative and flexible way to help your business calculate, reduce and offset your carbon footprint. You will help the environment, fight global warming, and help make the transition to a clean energy future possible. Our offset projects are third-party certified to the highest standards. Whether you're a large or small business, we have solutions for your needs and goals. We are all responsible for climate change and we all must be part of the solution. Carbonfund.org makes it simple for anyone, or any organization, to reduce and offset their carbon emissions. A carbon offset represents a reduction in emissions somewhere else - like a renewable energy or a reforestation project - to balance out the emissions you cannot reduce. Also, carbon offsets are the only way to get your carbon footprint to zero today. 1. 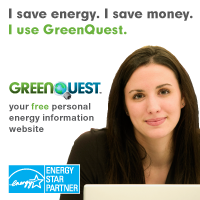 You Calculate and Offset your Carbon Emissions. Calculate Your Carbon Emissions and Contribute. Use our carbon calculator to figure out your carbon footprint or choose from one of our preset options. If you don’t see what you need, or have a special carbon footprint in mind (an organization, business, event) contact us. Contributions are tax-deductible. A carbon offset represents a reduction in carbon dioxide (CO2) somewhere else, like a renewable energy or reforestation project, to balance out the emissions you cannot reduce. By becoming carbon neutral today you are supporting clean technology and reduction projects that drive investment and innovation, and hasten our market transformation to a low carbon future. 2. Carbonfund.org Offsets Your Carbon Emissions. Carbonfund.org supports domestic and international renewable energy, energy efficiency and reforestation projects that reduce carbon dioxide emissions. All of our projects meet the highest standards and are third-party validated to ensure that your donation makes a positive impact. When you make a donation, we retire offsets from our projects. When we purchase carbon offsets or support a carbon reduction project we gain the right to the emission reductions. Many groups buy these rights and then use them to pollute or sell them. We buy the carbon reductions and retire them, meaning that they are taken out of circulation forever. Simply put, we retire carbon by not using it.